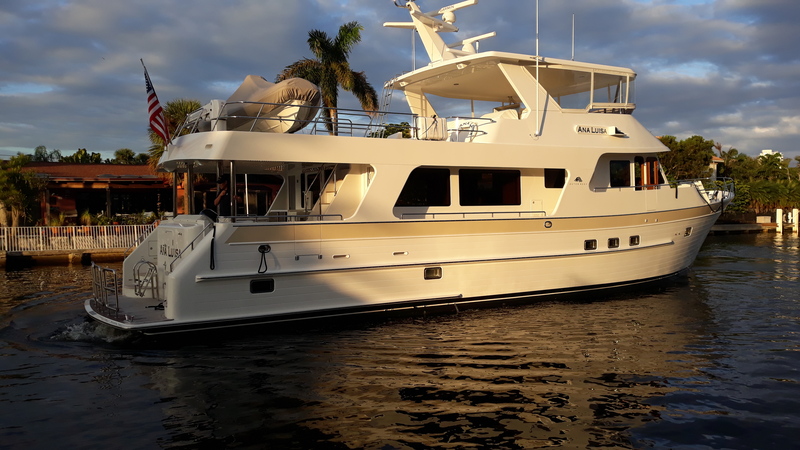 If you are an Outer Reef Yachts "yacht tracker", photographed here is the beautiful "ANA LUISA", a new 700 Motoryacht which recently journeyed from her home port in Huntington, New York to her temporary winter home in Fort Lauderdale, Florida. Welcome "ANA LUISA" - we are happy you will be enjoying warmer waters for the time being! "ANA LUISA" was recently christened and on display at the 2018 Newport International Boat Show. Testimonial video from the owners of "ANA LUISA"